This product can only be activated once. Seeed will not accept return once the package has been opened. Check Warranty & Returns here. If there are any quality issues after opening the package, please contact Seeed Tech Support Team techsupport@seeed.cc. The software included in this product contains copyrighted software that is licensed under the GPL, LGPL or other open source licenses, listed ataka.ms/AzureSphereSDK. You may obtain the source code for applicable software from aka.ms/AzureSphereSDK or by sending an email to order@seeed.cc. We developed this board to meet the needs of developers who need smaller sizes, are more scalable, and have lower costs. This development board is based on the MT3620 module, which greatly simplifies the difficulty of hardware design. The MT3620 module is developed by our partner AI-Link. Developers can easily reuse this design into their own projects. The development board uses two single-row pin headers for easy plug-in on other motherboards or expansion boards. 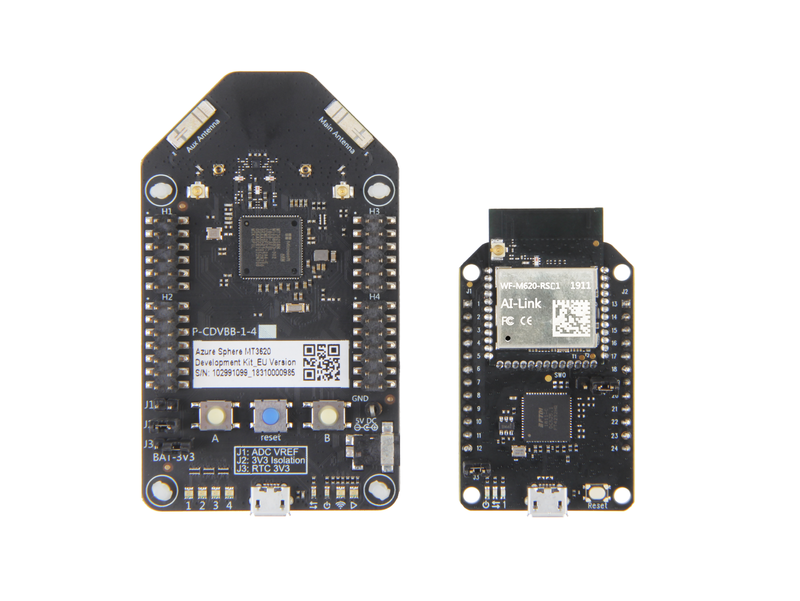 Unlike the full-featured Azure Sphere MT3620 Development Kit, this development board optimizes the design by reducing some system hardware peripheral resources, and only provides the necessary hardware resources to developers. In terms of hardware specifications, we only support 2.4G Wi-Fi and reduce I2S and some GPIO ports. 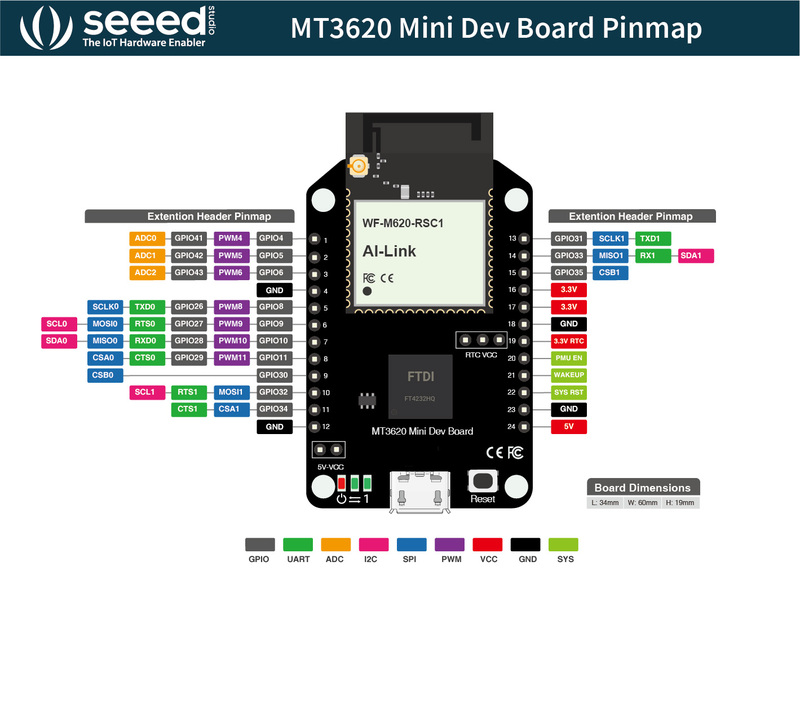 What’s new of the MT3620 Mini Dev Board? 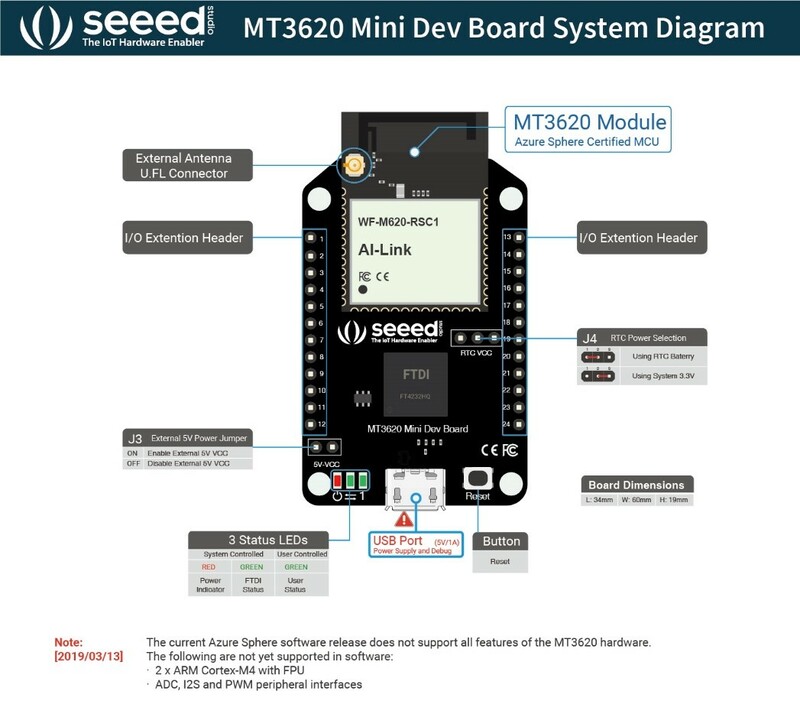 MT3620 software development is supported using the powerful Microsoft Visual Studio IDE: Install Visual Studio and the Azure Sphere extension, plug the development board into a PC over USB, and start developing IoT applications with unprecedented levels of security. Azure Sphere: End-to-end security for IoT devices. Tri-core microcontroller with on-chip RAM & flash. Microsoft Visual Studio development environment. Online authentication & updates for device lifetime. Expand UART, I2C, SPI, ADC, GPIO resource on pin header.